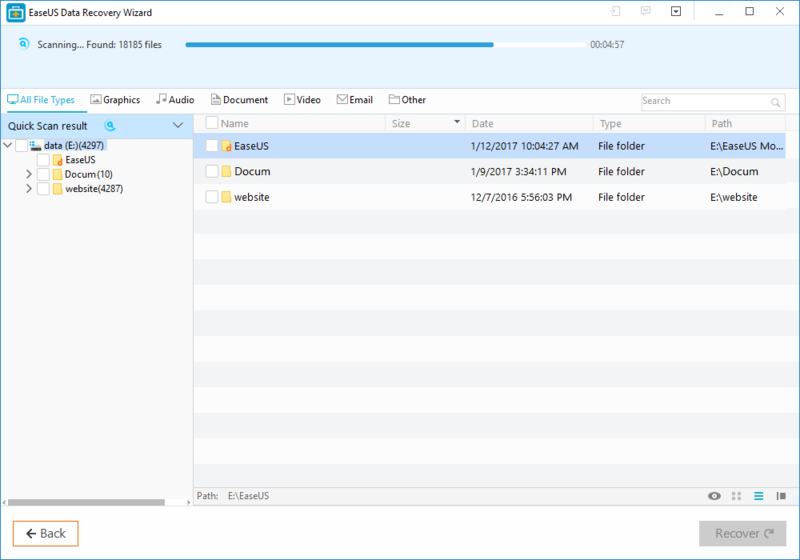 Is EaseUS Data Recovery Wizard Best For Getting Lost Files Back? There is nothing that can make you feel more heartbreaking than losing a valuable data from your PC, Laptop, smartphone and any storage device. May be it is the memorable photos that are no more exist in its folder due to formatting or accidental deletion, or your important documents or office files that suddenly disappeared due to hardware failure or Whatever the situation is. I have a solution for all above mentioned problems, yes I am talking about the best free data recovery software – EaseUS Data Recovery Wizard – the best performer and award winning software and it is able to recover almost every type of data, including documents, videos, audio, graphics, email and much more. The company has claimed that this software can recover more than thousand types of files, well, it would seem a bit hard to digest but yeah it is absolutely right! How Does It Recover Lost Data? 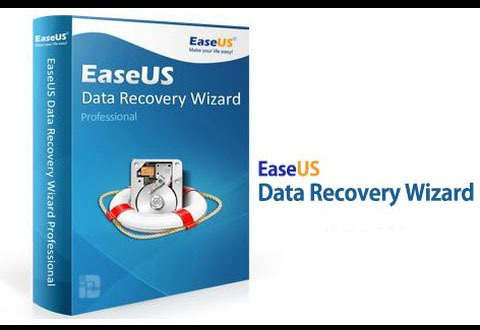 Let us see how does the EaseUS Data Recovery Wizard can recover lost or deleted data from any device? You just need to follow the three steps, in order to get back your data easily and precisely, that are following under the head; (In case of SD card recovery, you just need to insert your card on the PC and follow the same procedure). 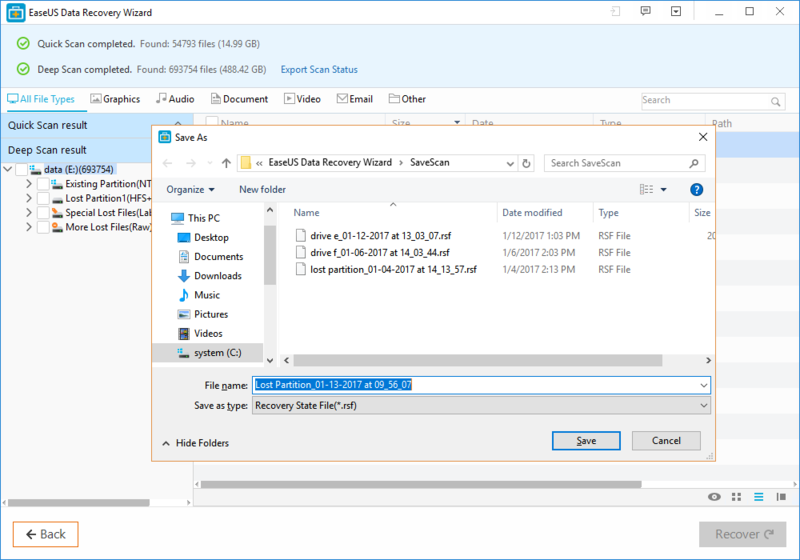 In the first step, you just have to download the EaseUS Data Recovery Wizard free edition and install it on your computer or PC. Once installation process has completed, launch the program and select the location where you lost your data and then click the “Scan” button. After clicking on the “Scan” button, the program starts quick scan that does not take too longer and within a short time it will show you a recovery result. 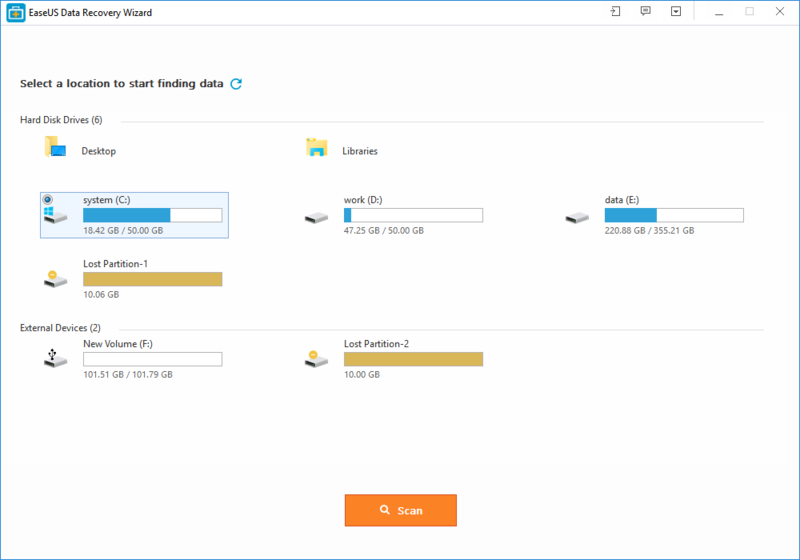 But if you cannot find your desire file in the recovery result, so you can also go for deep scan, which goes deeper for purpose of finding more lost or deleted files. In the last step or after scanning, the software will show you a preview list, as I mentioned above. Check the preview list and choose whatever you want to recover and then select that file and click the “Recover” button to get it back.